For the past five or six years, I have participated in the Google community #cyberpd. We select one book, divide it into chunks, read a chunk every week for the month of July, and blog about it. I love reading and learning with other people. 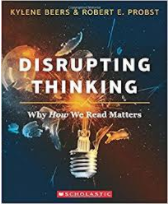 The folks who organize this are in the process of selecting a book and have asked people to post what they will be reading this summer. Here is my stack! Ralph (and his wife JoAnn) are dear friends. I pretty much love anything he writes. I also know he's a great writer and very accessible. Exactly what I need for my first read of the summer. I teach at a dual language school. Our goal is for children to graduate fully bilingual and biliterate. 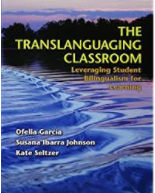 I read THE TRANSLANGUAGING CLASSROOM about a year ago. 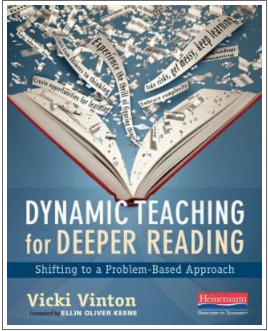 I want to revisit this book and several other dual language books. I will pretty much read anything Kylene Beers and Bob Probst write. This year, we struggled with getting our middle schoolers to engage with books. This seems like a must read this summer! I loved WHAT READERS REALLY DO by Vicky and Dorothy Barnhouse's first book, and I'm looking forward to this one. I've been meaning to read this for a couple of years. Really am going to do it this summer! On Saturday night, I saw RENT at a neighborhood high school. It wasn't the high school my boys went to, and I didn't know anyone in the play, it just came across my Facebook page, and I decided to go. Before the play, the drama teacher, a 30ish gentleman, who also happens to be the head football coach, got up and talked for a few minutes. "People are always talking," he said, "about how they want to support public education, and about how they want to support our (struggling) school. But then we do something like this and no one supports it." He gestured to the half empty auditorium. "This is by far our biggest crowd," he said. I thought about how hard that teacher and those kids had worked. How many hours they had put in. How many nights that teacher had been away from his family and friends. And I felt really, really sad that so few people had come to see the play. Saturday night was Senior Night, the final performance for kids who had been involved with drama throughout their high school careers. At the end of the play, the drama teacher told a story about each senior, then presented each senior with a signed play poster. There were lots of hugs and lots of tears. And again I was struck by this young teacher's dedication. For my boys, it was football. For these kids, it was acting. I wondered how many of these kids had gone to school because of drama. How many had sought advice or friendship in his office. How many kids were graduating because of him. We are currently suffering through a rash of "mean girl" syndrome at my school. I feel like I have spent the better part of my recess duty for the last couple of weeks helping kids resolve conflicts, talking to the social worker, calling families, etc., etc., etc. I'm really glad, then, to have discovered a brand new graphic novel. 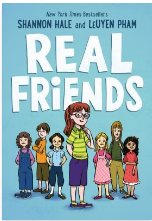 REAL FRIENDS by Shannon Hale and LeUyen Pham, is a graphic novel, a biography, of Shannon's intermediate grade experiences. It includes stories of friends who become "not friends," being part of groups, and not being part of groups, getting glasses, bullies, loneliness, making new friends. All of those intermediate grade experiences that are so much a part of kids' lives, and so, so, so hard. On a teaching note, REAL FRIENDS includes a lot of short, episodic stories. 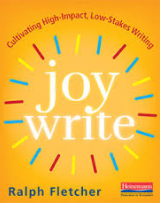 I can see myself using it during a unit on personal narratives. Kids could tell their friendship stories in graphic novel format, then move to a more traditional personal narrative. I'm thinking this is a book I'm going to be replacing pretty regularly. I suspect it's going to get read a lot! Mother's Day. I'm feeling a little down. There will be no cards or flowers or dinners out or even burgers on the grill at home. My boys don't do holidays. I do holidays, at least a little, and I'm going to Colorado Springs to have brunch with my mom. I grab my keys, head out the door, and then I see him. David. He has mowed my lawn for years. His mom lived down the street for over half a century. He lived with her, at least most of the time. Recently, she moved into assisted living, and he's living on the streets. This morning, he looks like he has probably been out all night. He is more than a little rumpled. Wearing a backpack. A sleeping bag hangs from the handlebars of his bike. I never know what to say to him. Everything seems so trite when he is so lost and so alone. We talk about the lawn. It needs cut. I ask if he will see him mom. He tells me he won't. I think it's probably a pretty long bus ride across town. He tells me he wants to find a church to try, and I tell him there is a new one at the school down the street. I want to do something, but I don't know what that would be. We make plans for the next yard work, and I tell him to take care. Wave goodbye. I have to make a quick stop on my way to Colorado Springs. I have some boxes that need recycled. They are too big for my bin, so I want to drop them off at a recycling dumpster at a park not too far from my house. And then I see them. The car is from out of state, and loaded down with boxes on the seat and a luggage rack on the top. A woman is in the driver's seat, small children are in the back. She looks old to be their mom. Maybe her grandchildren? I wonder if they are living in the car. I drag my boxes out of the car and walk around the back of their car to put the boxes in the dumpster. I almost run into a man, pulling a royal blue shirt over his head. I know those shirts, they are the uniforms for a local amusement park, and many of our parents work there. I wonder if this man is trying to support his family on the barely above minimum wage pay most of the workers earn. And again, I do not know what to say. I make small talk. Say it's a beautiful day. Say there will probably be lots of people at the amusement park. He wishes me a happy Mother's Day. I drive away, wondering how I could be so ungrateful when I have so, so, so many blessings in my life. Starting with a roof over my head. Tomorrow, I am triple booked. We have faculty meeting tomorrow at 7:15. Like we do every Wednesday. Except my principal retired midyear and we kind of haven't had regular meetings for the past few weeks. So this morning, when someone asked me if I could attend another meeting, I said sure, I could come. And then I found out we really are having a faculty meeting. An then I also remembered I had said I would help with playground coverage, because we are doing teacher appreciation this week. And tomorrow morning we are having a breakfast for the paras. Except the paras do morning recess duty. So the leadership team offered to cover the duty. And I'm on the leadership team. So now I'm triple booked. And then again at 10. I have a regularly scheduled meeting at 10:10 on Wednesdays. And I'm supposed to be testing kindergarteners, which is taking way, way, way longer than I hoped it would. And then my new principal emailed and I told him sure, I could meet at 10:30. So I'm triple booked twice.